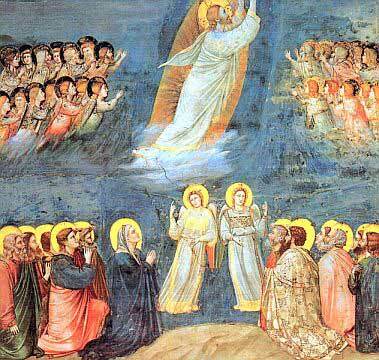 Most novenas are addressed to saints or angels (such as those shown in the painting above of Christ’s Ascension into Heaven), or to our Lord or His Blessed Mother. There are often several prayers to choose from for each of them. While not formal liturgies per se when prayed in public, they nonetheless can include liturgical prayers of the church. Indeed, attending Mass and receiving Holy Communion daily are often an important part of these devotions. The versatility and richness of these prayers goes hand in hand with their popularity. 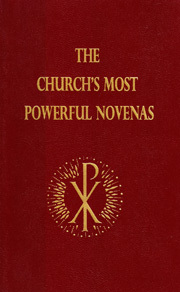 You might find some novenas in prayer books consisting of one particular prayer (sometimes a popular one like the prayer to the Holy Spirit) to be said each day for nine days. Others might have a prayer of this type followed by other specific prayers for each day. And still others, particularly when used in public church services, might have additional readings, reflections, litanies or hymns. Clearly these are not cookie cutter one-size-fits-all prayers! Many think of Mary, the Apostles and the disciples praying for the nine days before the arrival of the Holy Spirit at Pentecost (Acts1:14) as an inspiring model for the novena. 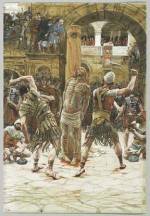 Yet, it seems to have been adapted from the Greeks and the Romans’ nine day mourning period for the deceased. Many prayers fit into more than one of these categories. Novenas of masses and prayers for popes and cardinals, among the departed, became customary in the Middle Ages. So did those of preparation for Christmas (first in Spain and France), which paid tribute in part to the nine months our Lord spent in His Blessed Mother’s womb. By the 17th century, many religious orders celebrated the memory of their founders with novenas of preparation leading up to their feast days. This practice dovetailed nicely with that of saying prayers for special needs to particular saints. Along this line, many prayer books include great opportunities for you to “(mention your request here),” as it is often written in a particular prayer. 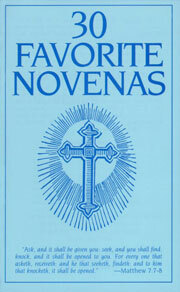 The novenas we’ll cover on subsequent pages, including those to St. Joseph, St. Therese, St. Anthony, St. Jude, St. Benedict, the Holy Spirit, the Holy Souls in Purgatory, Our Lady of Perpetual Help, St. Anne, St. Philomena, and the Novena of Grace, are relatively simple. There are others in prayer books and websites such as these that include specific prayers for each of the nine days. Keep in mind, though that these prayers don’t contain some magic formula for God to honor these requests automatically at the end of a nine day period! 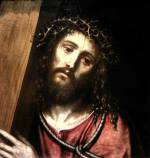 Still, they encourage in us the spirit of perseverance that we need in our prayer lives. 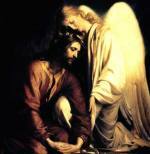 Jesus extolled this virtue in Luke’s Gospel, saying “Ask and it shall be given to you, seek and you shall find” (Luke 11:9). He’s always listening to each of our prayers, whether or not He gives us the answer we desire, seeking to guide us in doing His will. Whether you pray directly to God or to Mary and the saints (in which case you’re still praying to Him through them), pray with humility, sincerity and love. Then, if nothing else, our Lord will at least give you the precious gift of His Holy Spirit to help guide you in the midst of your trials and troubles. Two Great Prayer Resources Available in our Web Store!